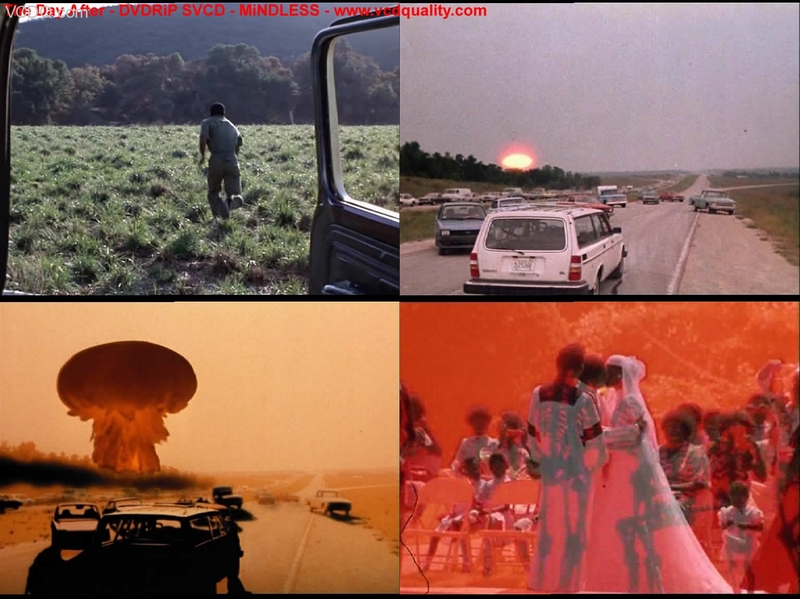 As I mentioned in my last post, a couple months ago I got on a kick of watching movies related to nuclear scares and post-nuclear-apocalypse tales. WarGames was a bit goofy but entertaining overall, but that movie stands in contrast to another movie from the same year which kicked off my film fest, The Day After. 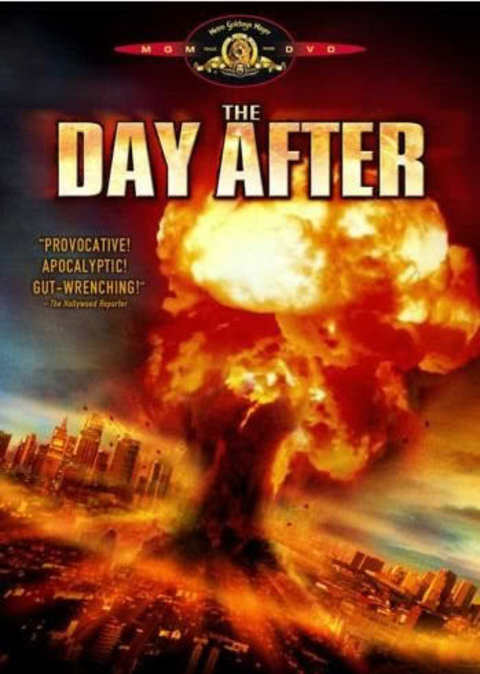 The Day After is a 1983 made for TV movie that apparently made a huge impact when it was released, although I was only three when it came out, so I guess I wouldn’t know. What I do know now, with thirty years of hindsight, is that it’s definitely disturbing, even if it is a product of its time. The idea is that there’s a nuclear war between the US and the USSR, basically annihilating the populations of each country. We don’t get many glimpses of what happens in the broader scheme of things, though, since the story is set in Kansas and stays there nearly the whole time. We follow various characters as they try–and ultimately fail–to deal with the fallout of…well, the fallout. Oh come on! You’re even gonna let radiation sickness kill off The Gutte?? The effects and production are probably really good, at least for 1983, but the acting is a bit cheesy at times. There are some pretty well-known actors like Steve Guttenberg and John Lithgow, but the soap opera acting isn’t really the reason this movie has an impact. Its impact is entirely based on the scenes of nuclear destruction and the absolute hopelessness of it all. It’s a bit of a trope in movies, but when they say something like “The ones that were killed were the lucky ones,” we still root for the survivors and know that they’ll find some way to make it through. This movie has the courage, if that’s the best word, to show us that the survivors won’t make it through, no matter how hard they try. It really does drive home the point that a nuclear war is un-winnable and indeed un-survivable. And that’s just the scene when the bombs go off. It just goes downhill from there. So, I can’t say I enjoyed it, but I can say I’m glad I’ve seen this movie. Nostalgia Factor: 0/17 I can’t really say this made me miss anything about the past, but that’s a good thing. 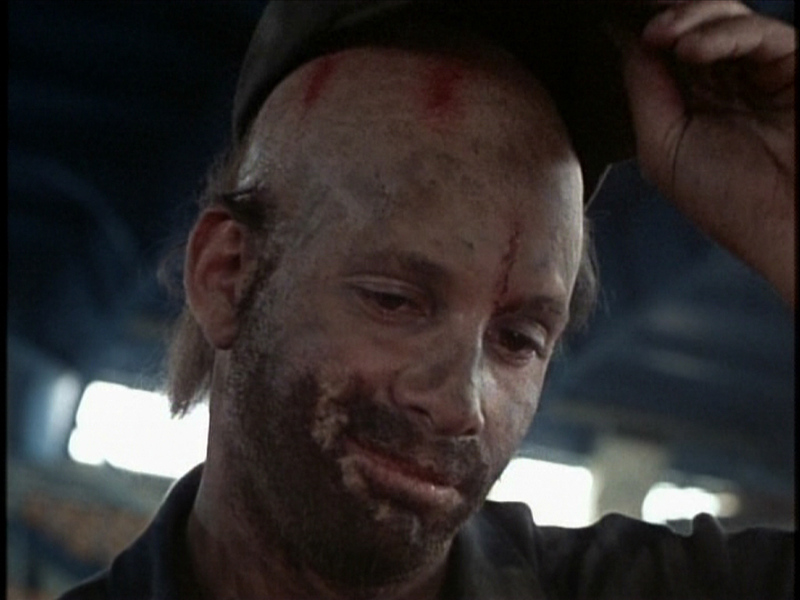 Scariness of the Movie’s Nuclear Scare: 16/17 Even though you can tell the special effects are from 1983, they’re still effective and disturbing. Overall Rating: 9/17 I don’t think it was bad at all, but I don’t think I’ll be watching this one again. This entry was posted in Review, Ryan, Sitzman and tagged 1980s, 1983, Guttenberg, Movie, Nuclear, Review, Ryan, Scare, Sitzman, The Day After by Ryan. Bookmark the permalink.